My family and I are ticking off quite a few items on our summer bucket list, and it’s incredible how the list has really made this summer unfold differently than our normally busy, scheduled summers. I’m loving the “unplanned-ness” of our days and spending time doing activities that focus on good old fashioned, local, natural, spontaneous fun. 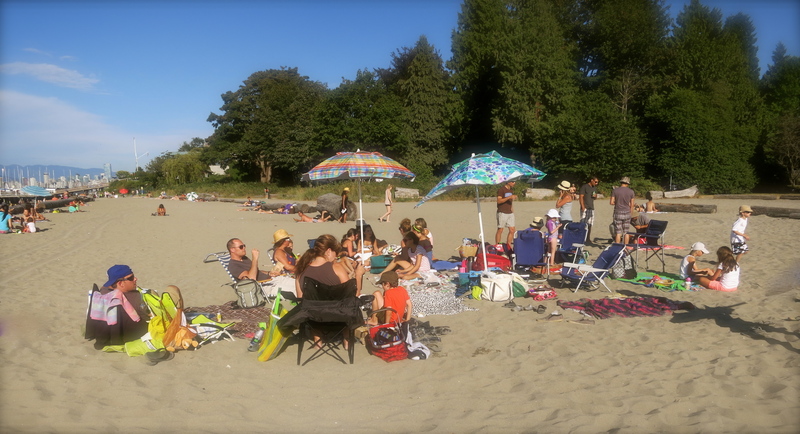 And in that spirit, late last week I put the call out to nearby friends to meet at the beach for a dinner picnic. 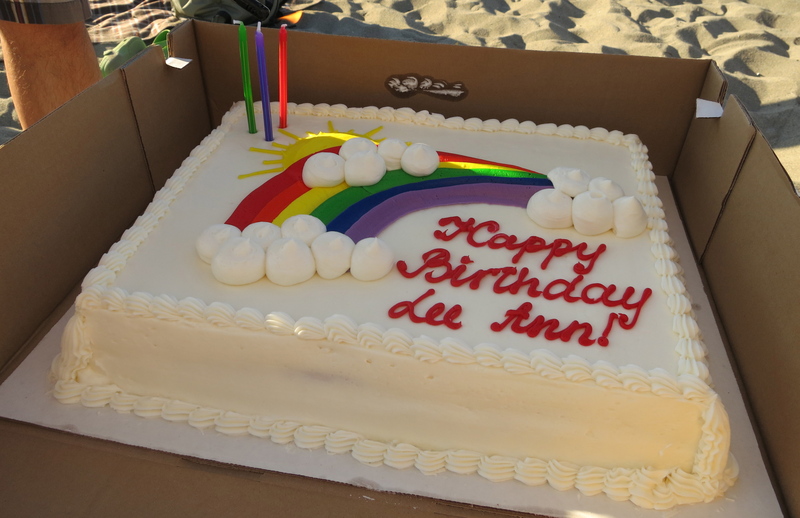 It’s a week of birthday celebrations: I’m celebrating not only 10 years of teaching my baby sign language classes, but also my actual birthday -2 great excuses to get together, play in the sand, relax, and have cake! The turnout was great -luckily quite a few people were still lurking around the city on a sunny July weekend and could immobilize their troops at the last minute. The kids ranged from almost 2 years old to late-teens. We all met at a local beach and set up blankets and beach chairs, soaking up the late afternoon sun. 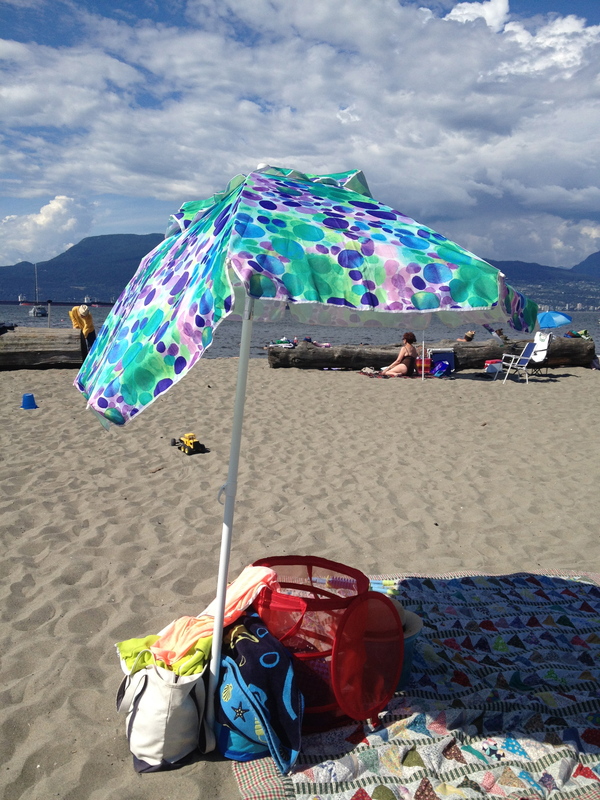 Yes, my poor beach umbrella is on its last legs, but it still managed to provide some welcome shade from the intense heat (recognize that blanket?). Everyone packed their own dinner picnic, so no one had to prepare any big dishes to share, just their own meal. 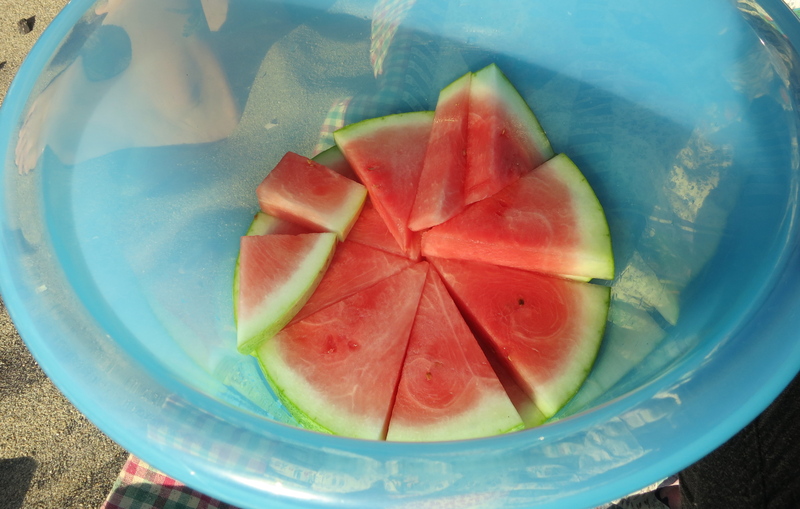 I brought our family’s dinner, a bucket of cut up watermelon, a sheet cake from the grocery store, and that was it! The kids played soccer, batted at tennis balls and built sand castles; the older kids kept watch on the younger ones while the adults chatted and shared stories of their summers so far. This was exactly how I remembered growing up -gathering people, eating food, and playing together with no schedule at all. Super fun idea!! I also loved your skirt blog post LeeAnn. Thanks, Heather, it was such a fun way to spend the afternoon!